A beautiful plot of land in Bahamas, Great Exuma. The land is very well located as it sits on a high position where you will get great sea views all round and fantastic views of the Elizabeth Harbour. The land is less then � mile to the sea one side and about half of a mile to the other. The capital and the international airport are only about three miles away. The Great Exuma was voted to be one of the five top islands to live on (by Islands Magazine). Around my land there are now a few villas being constructed, and with everything going on, it can only help prices to increase. Island attractions include a recently opened five star hotel ,an eighteen-hole Greg Norman signature golf course. A two hundred place marina and casino are also due to open. Developers such as Latitude Exuma purchased Crab Cay, a 160 acre island in the middle of Elizabeth Harbour where it will build around 100 villas (with a �1 mln to �5 mln price tag), a 5 star hotel and a 55 place super yacht marina. Tax Free Heaven. Nassau, the capital of the Bahamas is a leading international off shore banking centre. The tax free status of these islands attracts international businesses as well as wealth individuals. There`s no income tax, corporation tax, capital gains tax, dividend tax or estate duty. The islands are famous for superb bone fishing, yachting diving and snorkling. 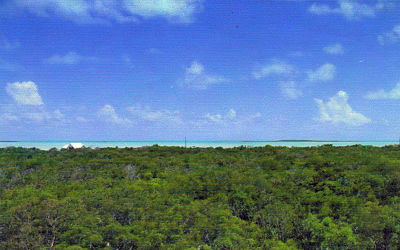 In winter the island basks in 27 C (or 80 F). Great Exuma boasts an international airport with daily flights to and from Miami, Fort Laudadale and Florida (by jet it would take about 90 minutes and is about 320 miles southeast of Miami). Friendly English speaking environment, and considered by many, the most beautiful area in the Bahamas. Should you need more information do not hestitate to e-mail us. Payment terms: 10% deposit refundable if client is not happy (after seing land and investigation the deposit will be refunded except for a charge that would cover our legal costs up to this point).